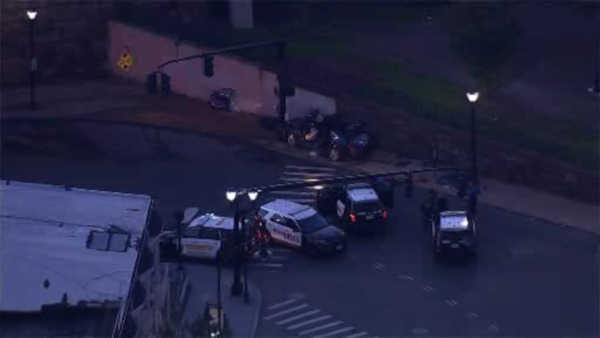 ELIZABETH, New Jersey (WABC) -- A car crashed in Elizabeth near the train station, injuring three people this morning. The vehicle crashed at the intersection of North Broad Street and Railroad Place. Three people were pulled from the vehicle in unknown condition. Police from neighboring Union may have been attempting to pull over the vehicle before the crash.